Real Madrid are trying to hunt a striker in the summer market but the goal is very complicated. With Cristiano Ronaldo’s departure, the club needs another striker to score, at least, 30 goals per season. This costs a lot of money in the current market and the options are not very appealing at the moment. 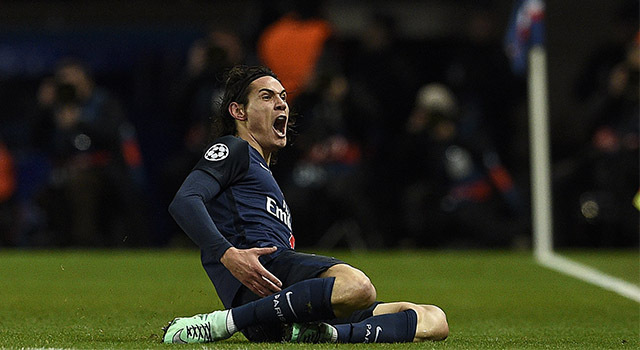 One good option would be Edinson Cavani, but it won’t be easy to bring him to the Spanish capital. Edinson Cavani is currently 31 years old, only two years younger than Cristiano Ronaldo and his contract with PSG expires in 2020. With Neymar Jr. and Kylian Mbappé in the squad, his role was less important in the last year and he could be willing to leave Paris. Besides, he had some problems with Neymar during the season while kicking the set pieces. In Madrid he would have the role of an star, now stolen by Neymar and Mbappé in Paris. Besides, he has great numbers as a killer. ‘El Matador’ 28 goals in the French League last season, only 7 less than the previous season. Since his arrival to Napoli, in 2010, he has always scored at least 16 goals in the league competition. These are numbers of a great killer and Los Blancos could be thinking in his signing, according to the Spanish newspaper Diario As. The problem would be negotiating with Al-Khelaifi, PSG owner. He wants to build a champion team and his idea of becoming European champion has been frustrated in the recent years. For this reason, he’s not willing to sell any key player to a competitor like Real Madrid. Despite his age, Cavani is still a great player and he would be a great signing for Los Blancos, but Florentino Pérez is not willing to invest the same money cashed by Cristiano’s sell to buy Edinson Cavani, who is objectively a worse player. Previous articleJames Rodríguez Shut the Door to Real Madrid… For Now!